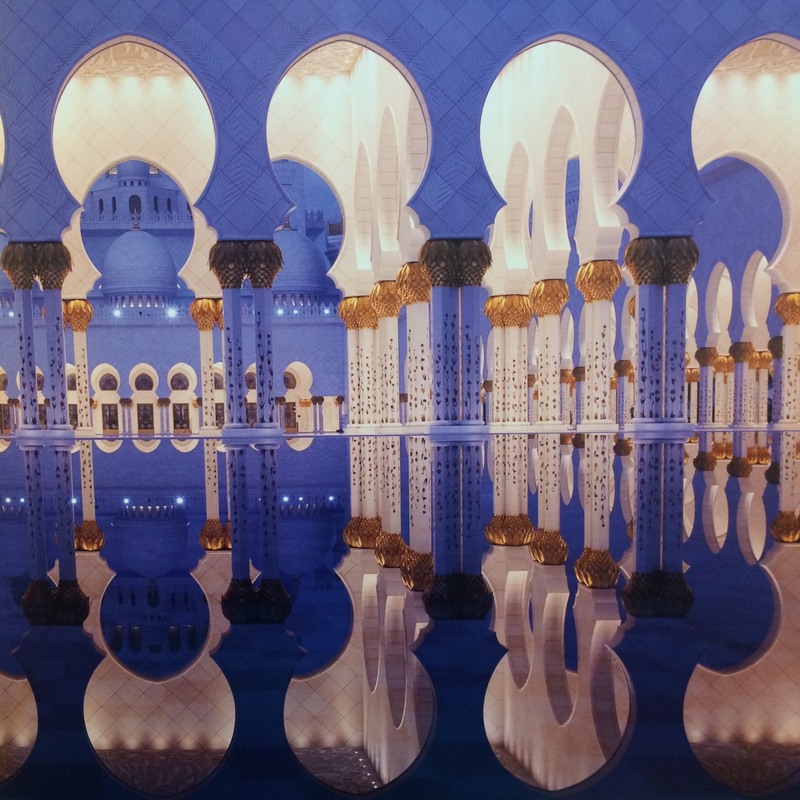 This architectural work of art is one the world’s largest mosques, with a capacity for an astonishing 41,000 worshippers. 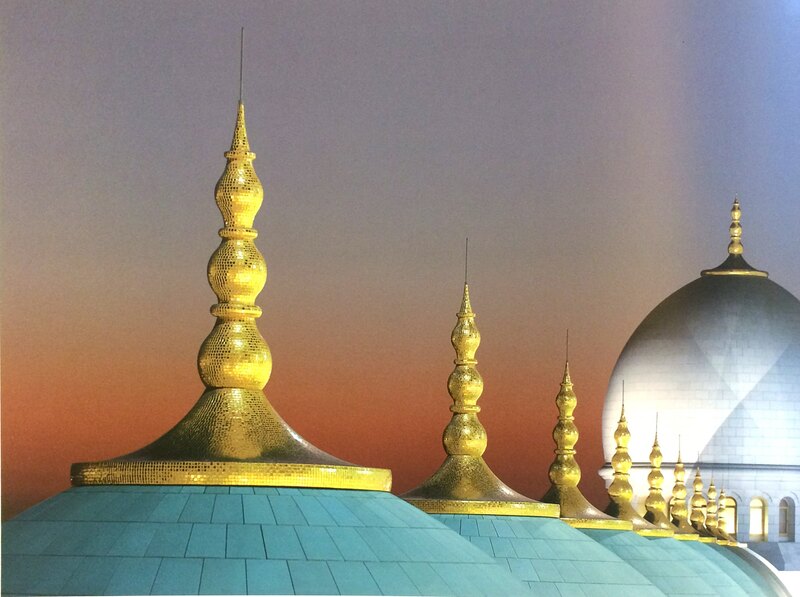 It features 82 domes, over a 1,000 columns, 24 carat gold gilded chandeliers and the world’s largest hand knotted carpet. 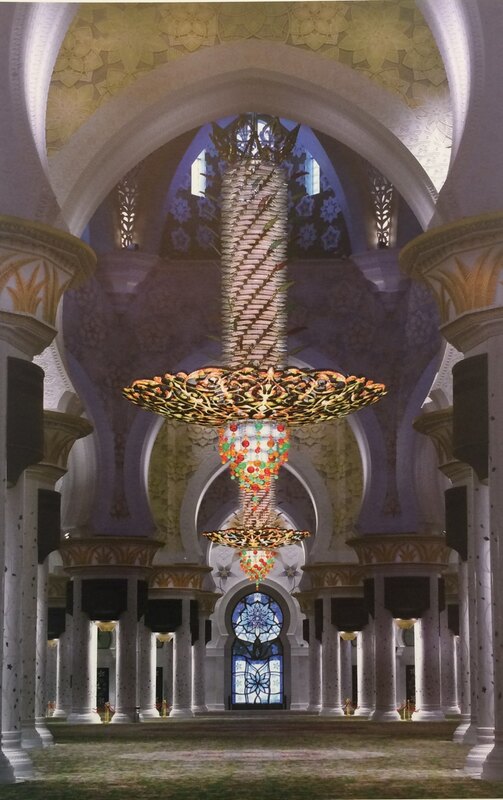 The main prayer hall is dominated by one of the world’s largest chandeliers –10 metres in diameter, 15 metres in height and weighing twelve tonnes. 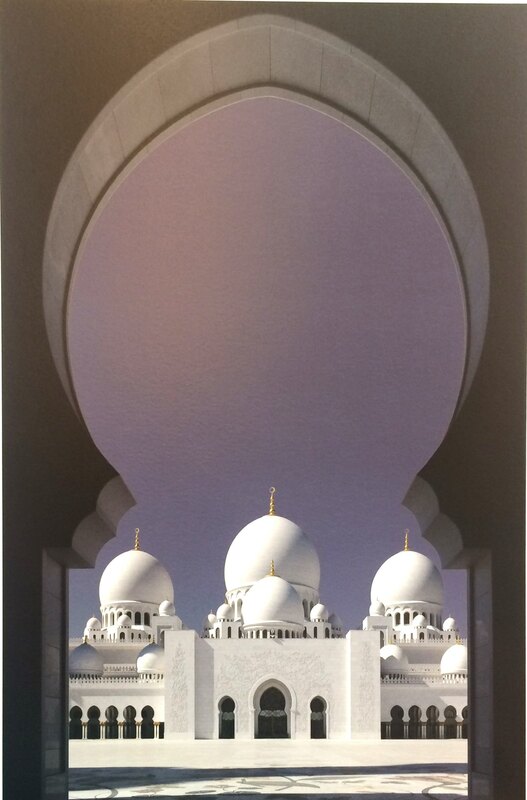 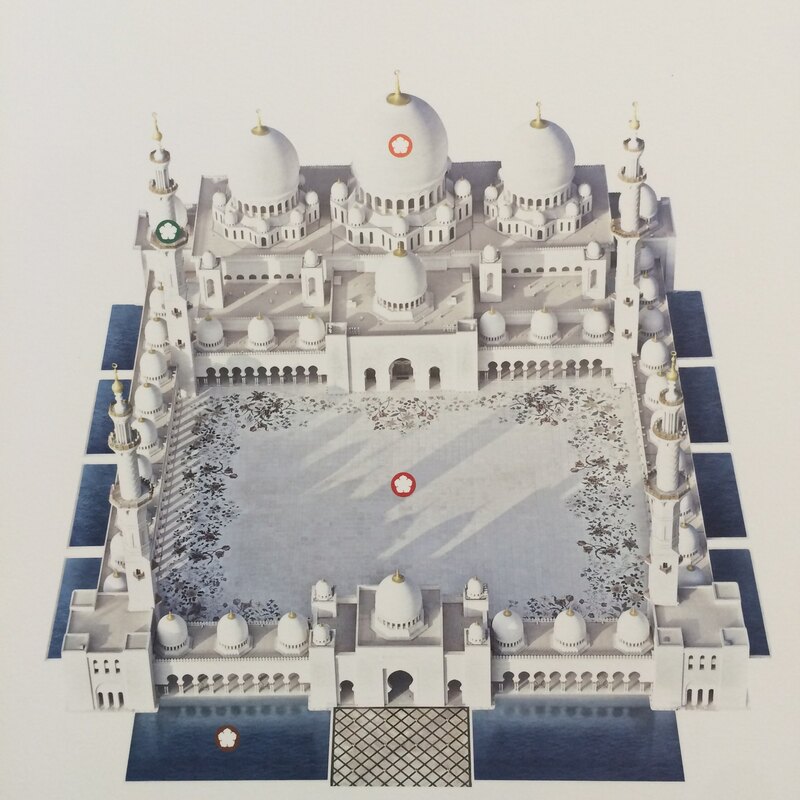 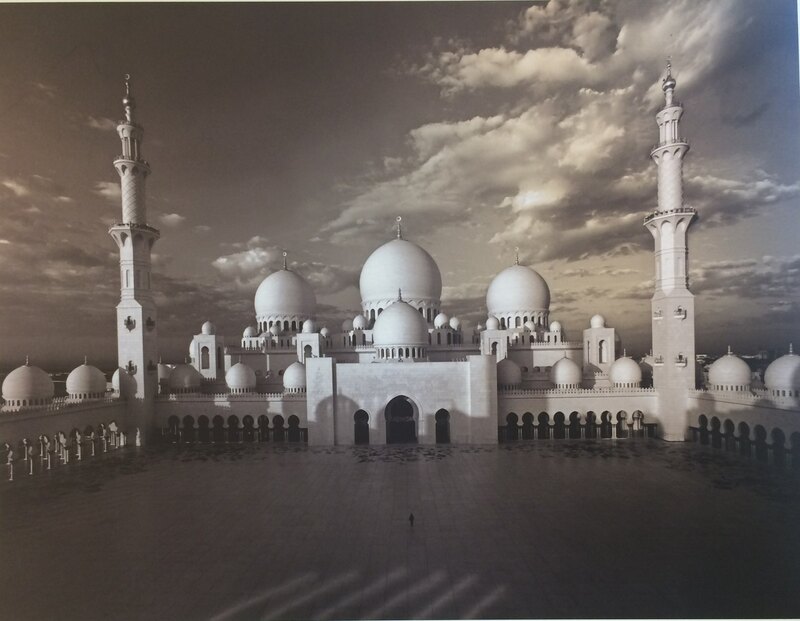 The mosque’s first ceremony was the funeral of its namesake, Sheikh Zayed, who is buried at the site. 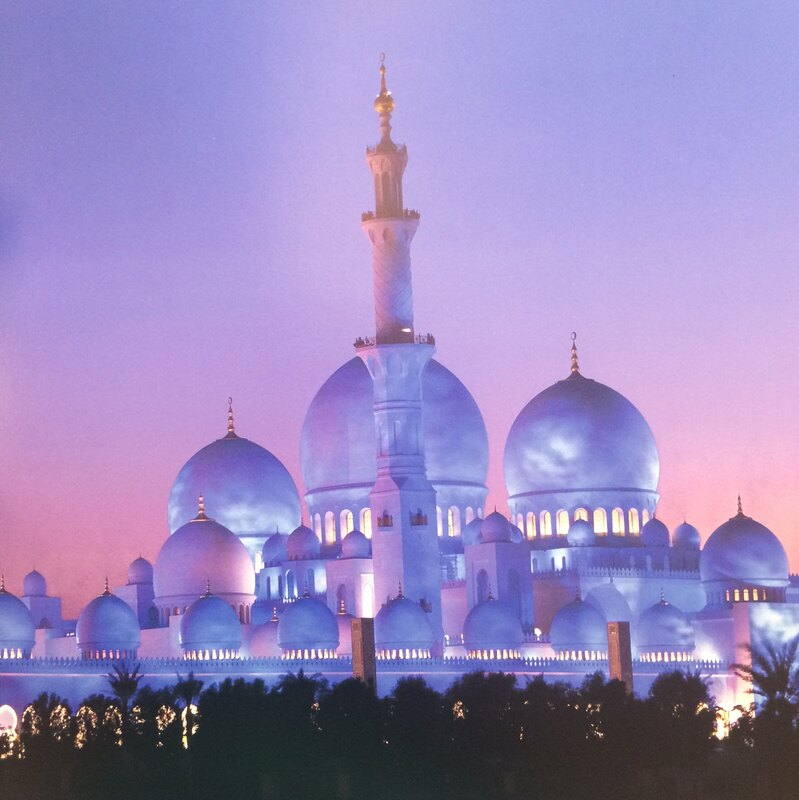 – Source: Visitabudhabi.ae. 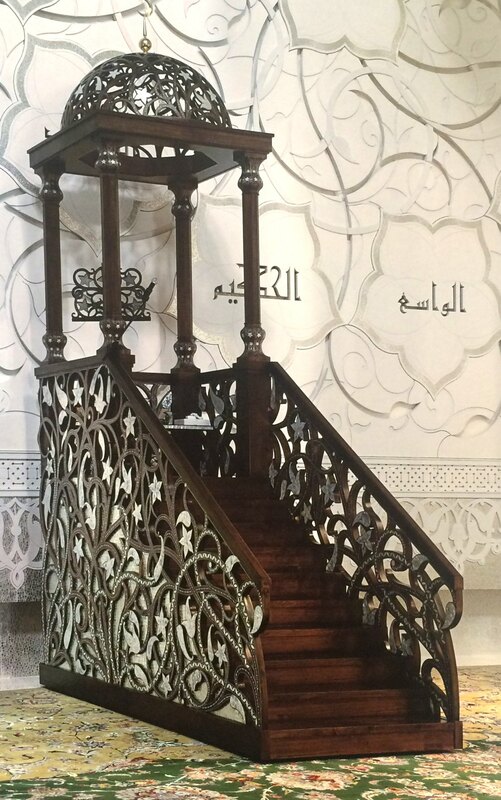 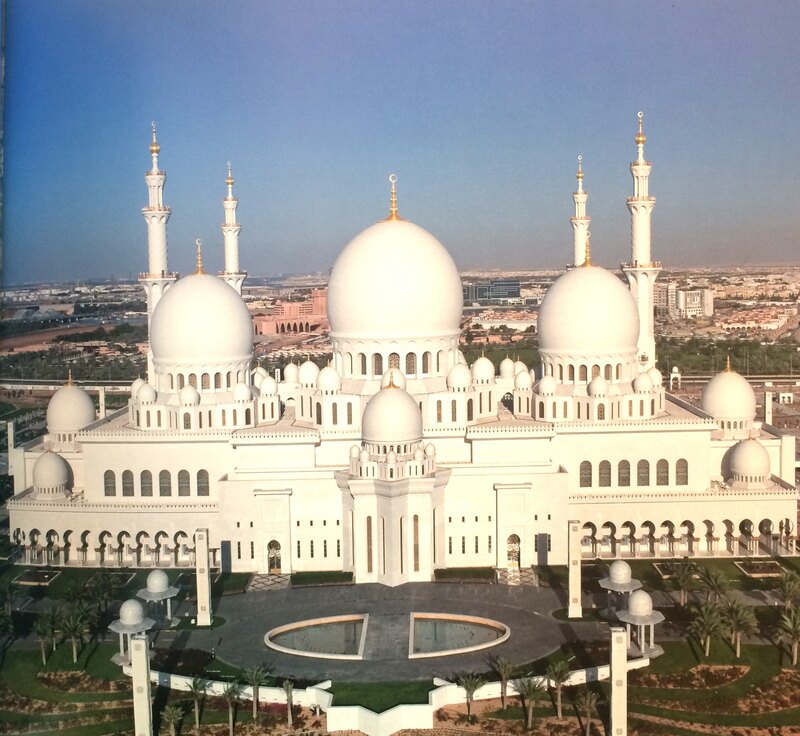 Like Paulina (my classmate) posted on her Instagram – “A day on heaven”, we witnessed a fabled piece of architecture of Abu Dhabi – Sheikh Zyed Grand Mosque. 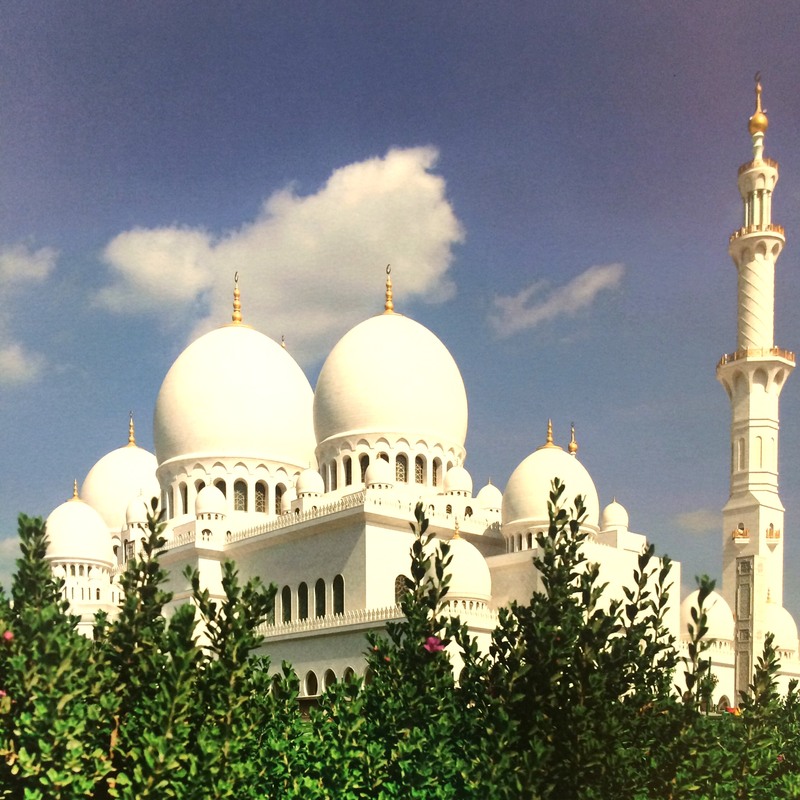 From afar, The awe-inspiring views of the mosque allured attention of us all. 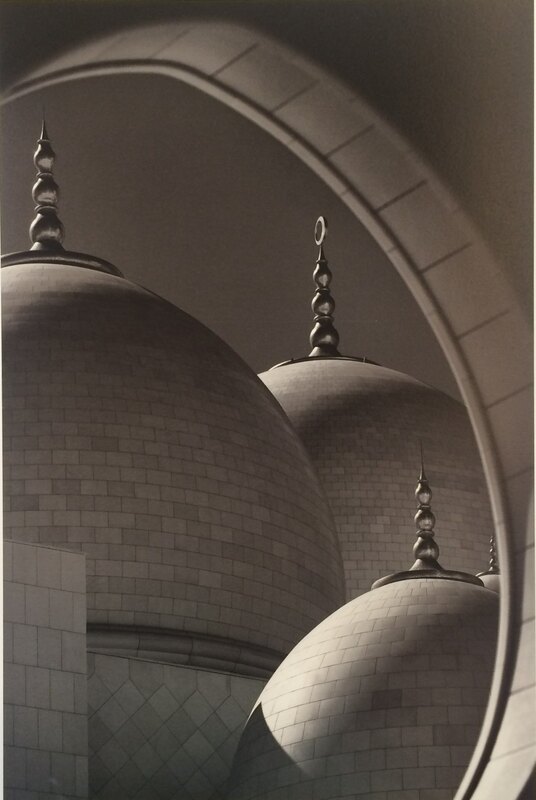 Some quickly tapped the face of their phone to switch-on camera mode, a few leant towards the window and enjoyed the spectacular view with their bare eyes but they put on the “cooling shades” as quickly to avoid the sparkling of the domes. 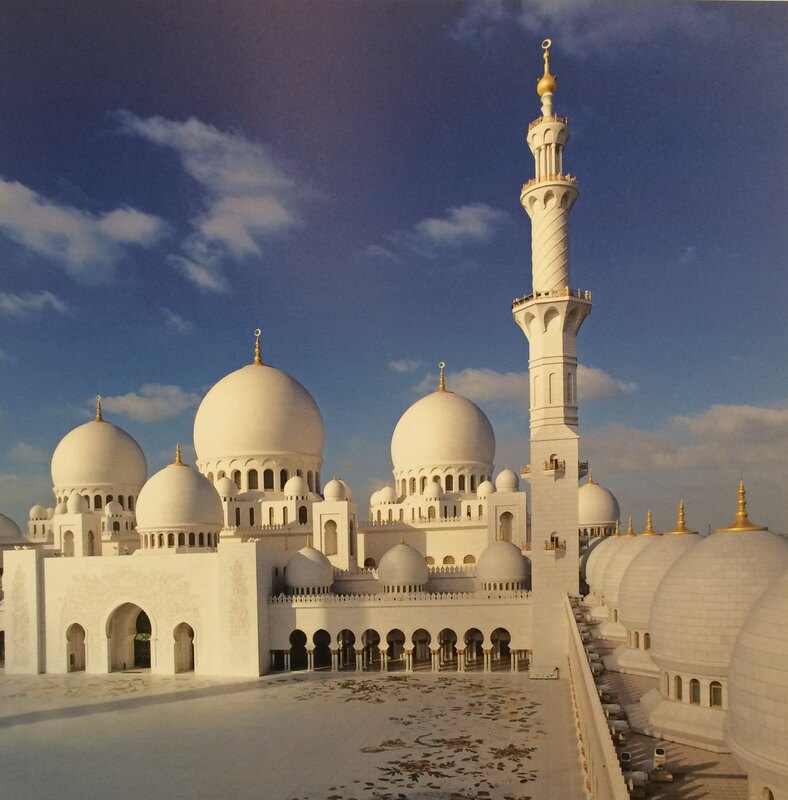 It is beautiful and famous for its exquisite, delicate and airy mosque that you cannot find elsewhere. 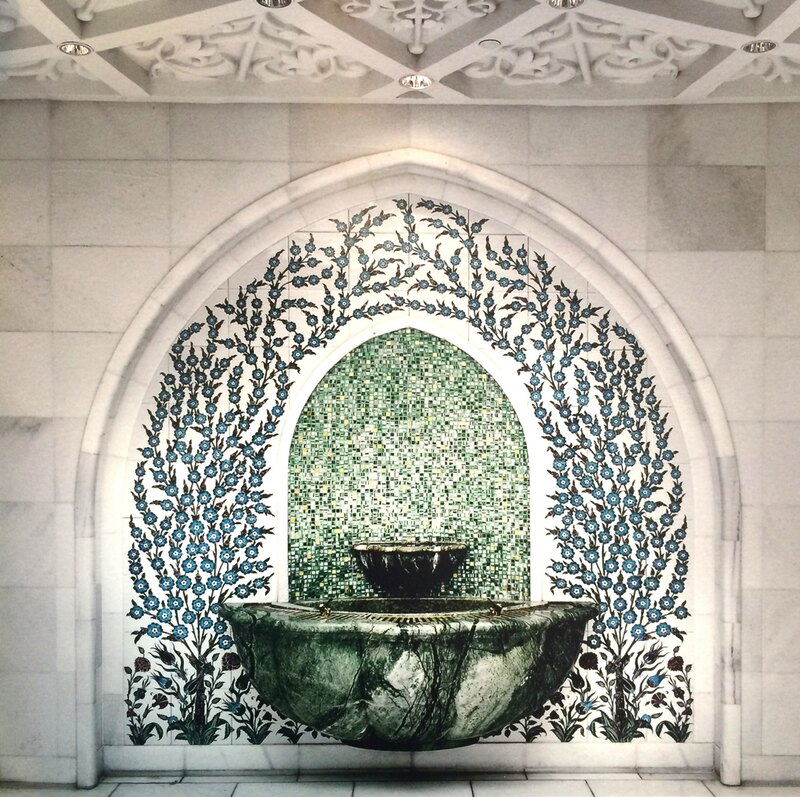 Noble, composed luxury. 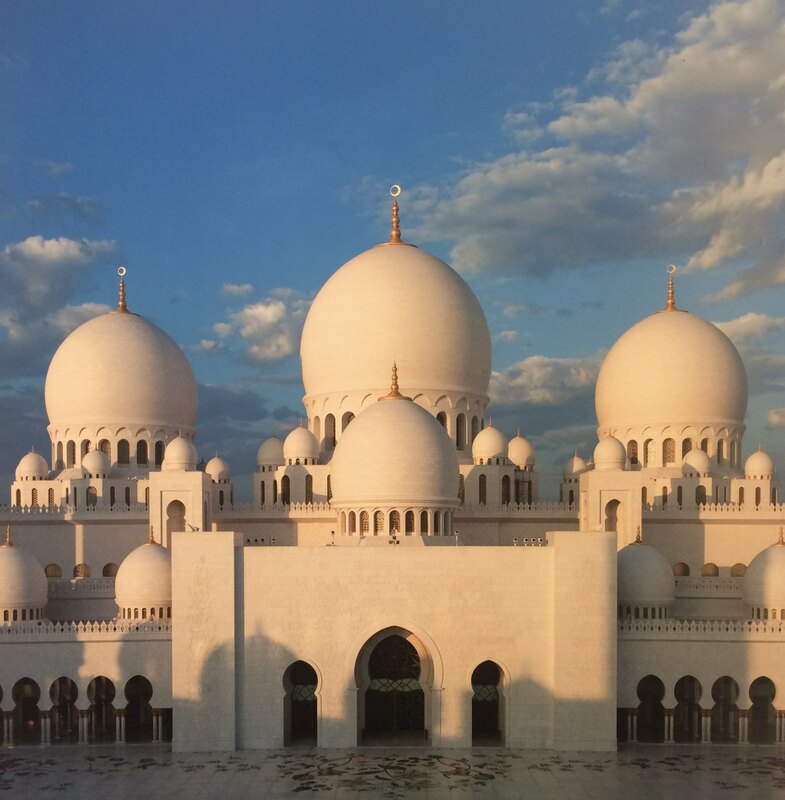 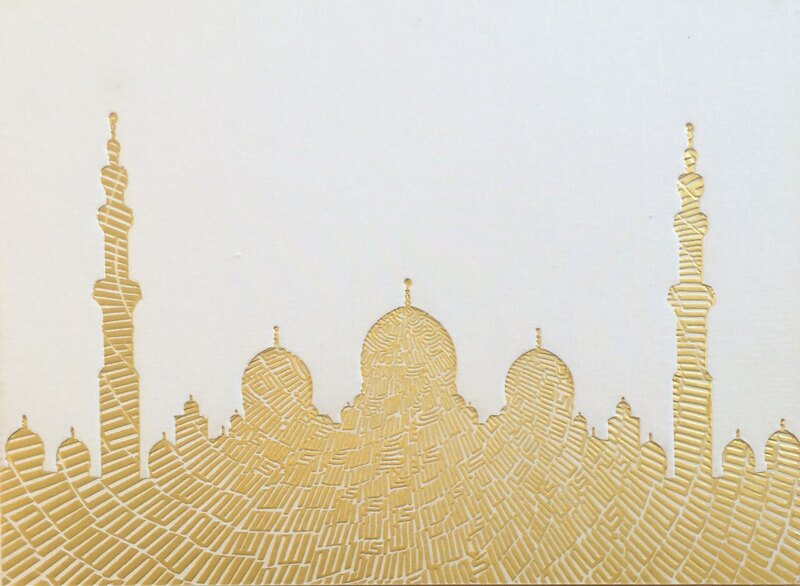 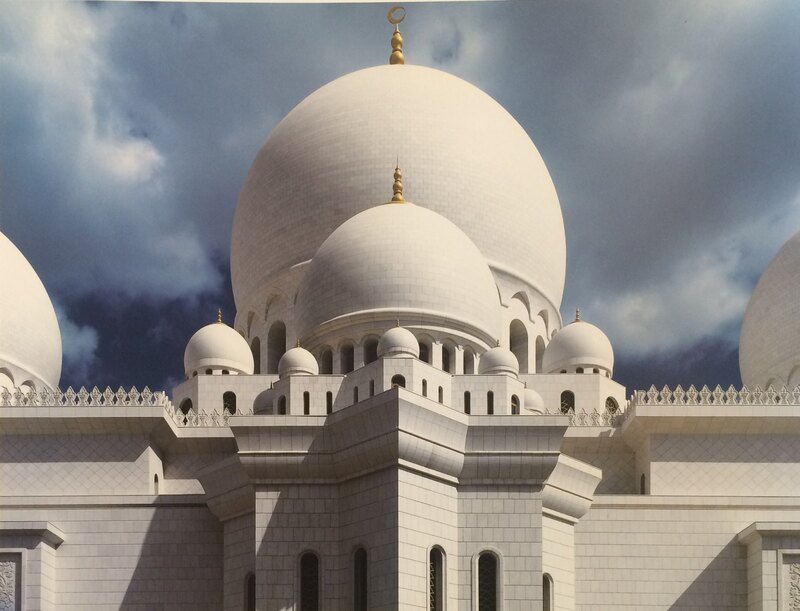 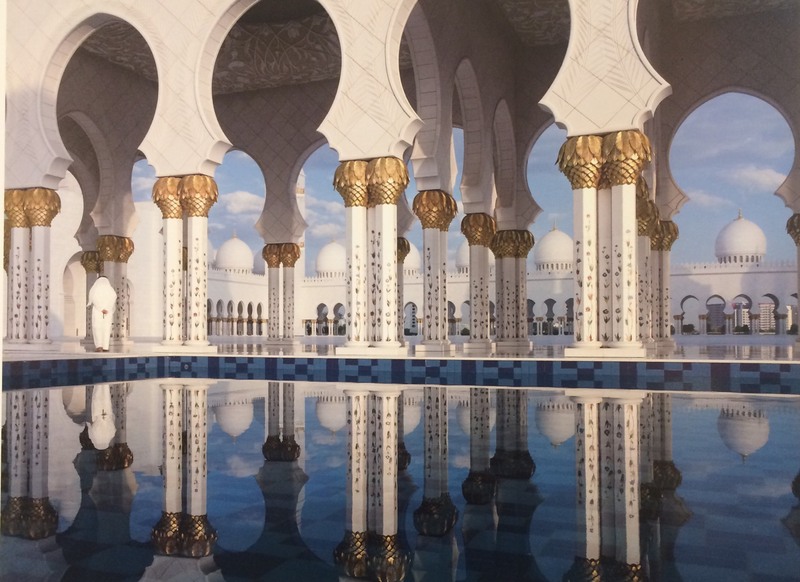 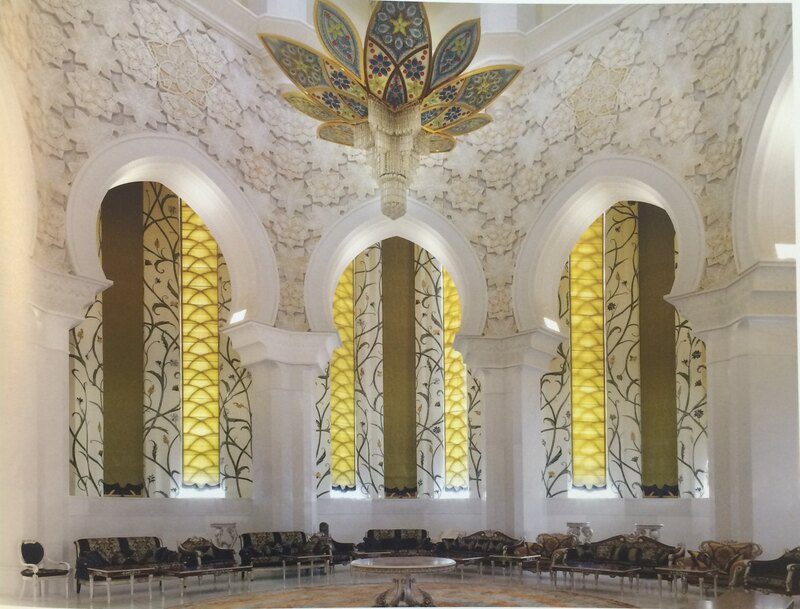 The Grand Mosque’s design and construction ‘unites the world’, using artisans and materials from countries around the world China, India, Iran Germany, Morocco, Turkey, Malaysia, Gree, United Kingdom, New Zealand and United Arab Emirates. 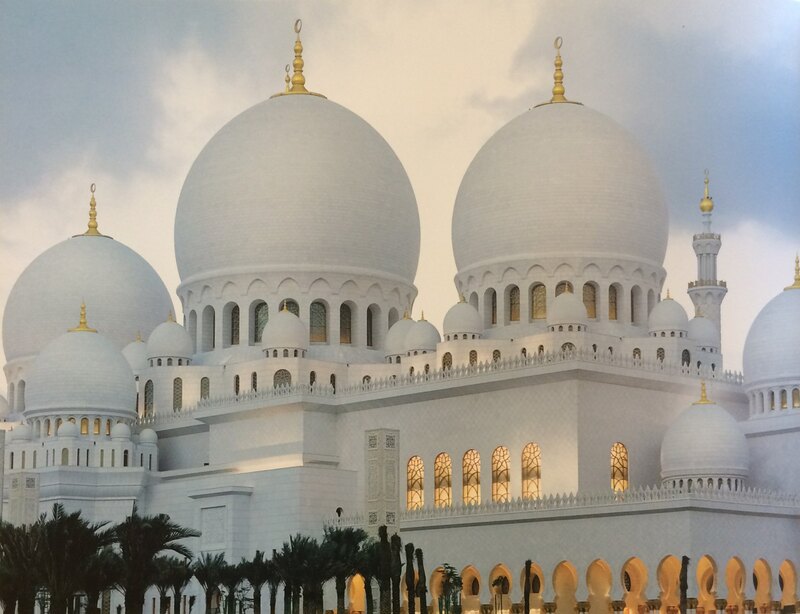 Within the compounds lays to rest H.H Sheikh Zayed bin Sultan Al Nahyan, ruler of Abu Dhabi and founder of UAE. 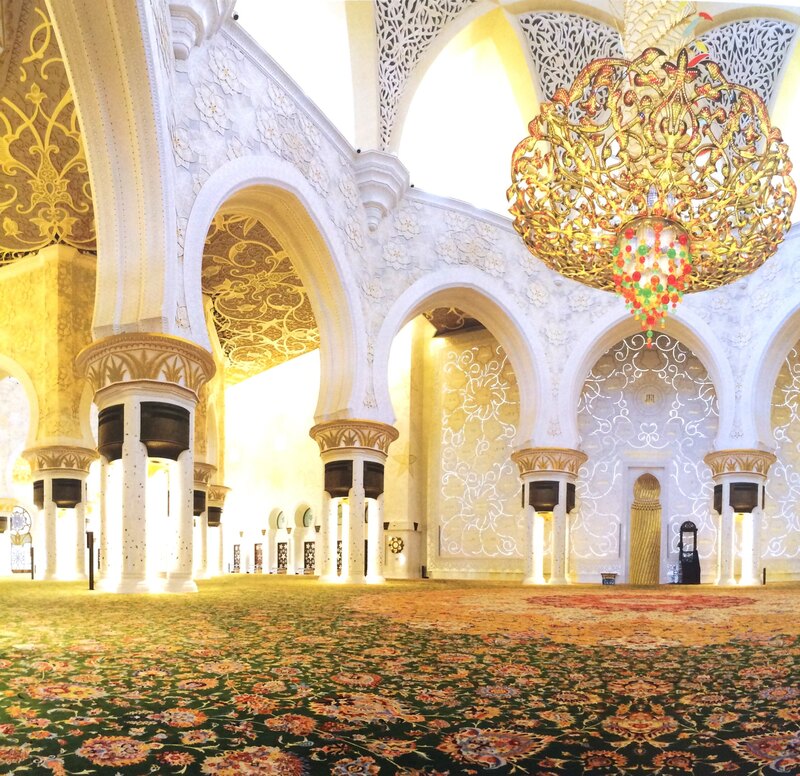 “The green carpet is made of tons of fine cotton, superior silk and soft wool, and is a reflection of the roof mosaics and chandeliers. 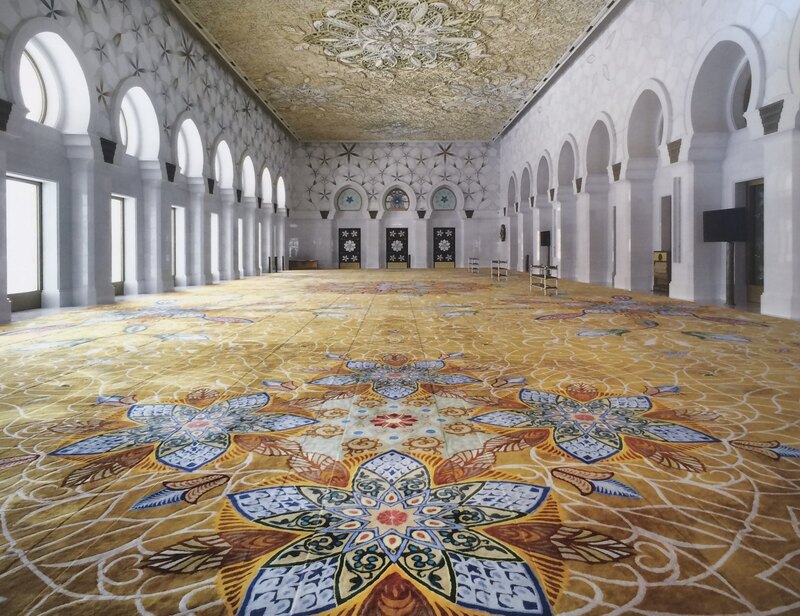 The carpet’s design was created by a sophisticated computer system and was handmade by around 1,200-1,300 carpet knotters and includes 25 natural colors. 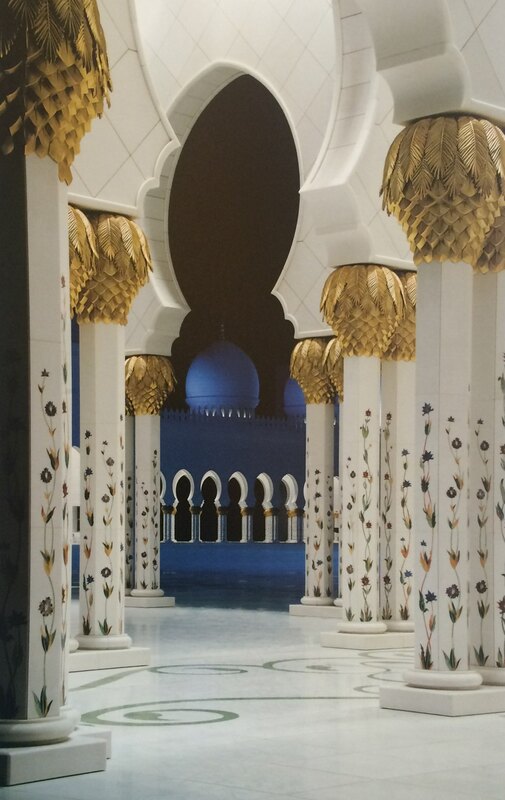 The raw material of these colors comes from the roots, the peels and the branches of different kinds of trees and plants. 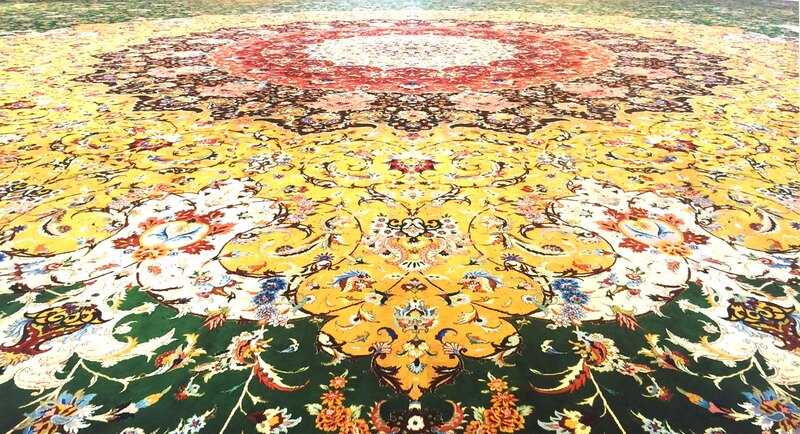 Two different kinds of fine wool, brought from New Zealand and Iran, were used in the manufacturing of the carpet. 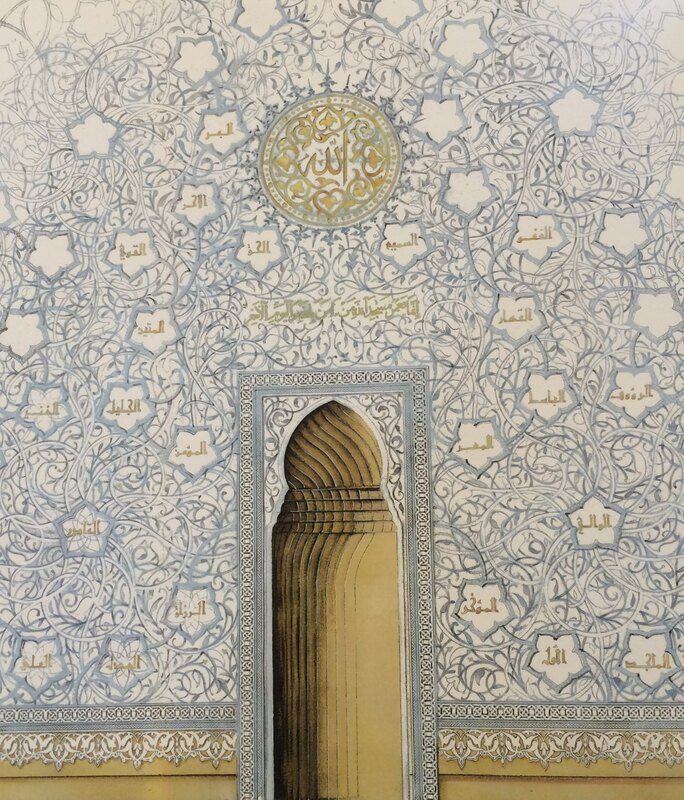 One of the unique features is the subtlety of the prayers’ lines knotted into the carpet itself. 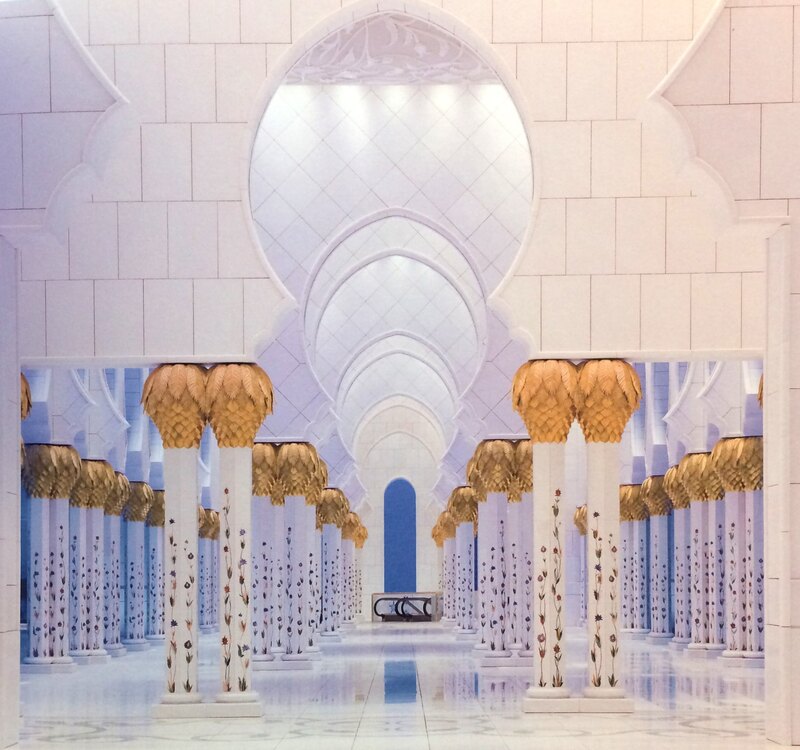 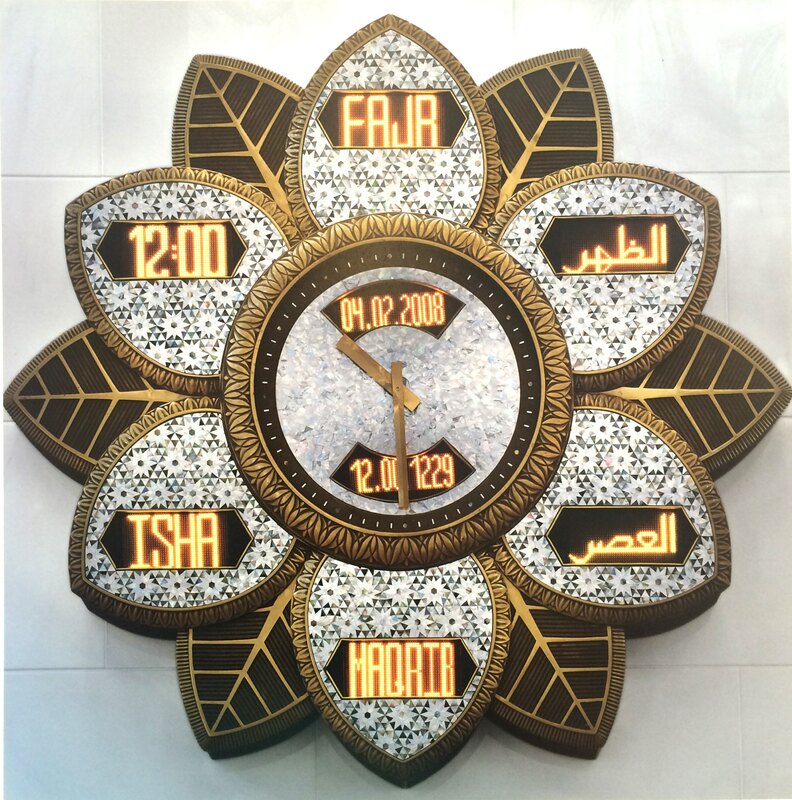 The indication lines do not detract from the design, although when the prayers commence, worshippers can easily identify the lines in which to stand. 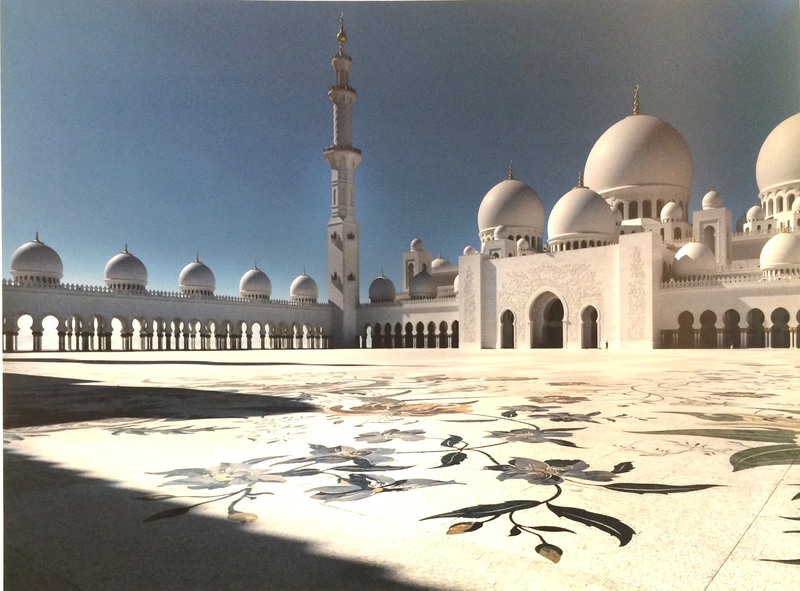 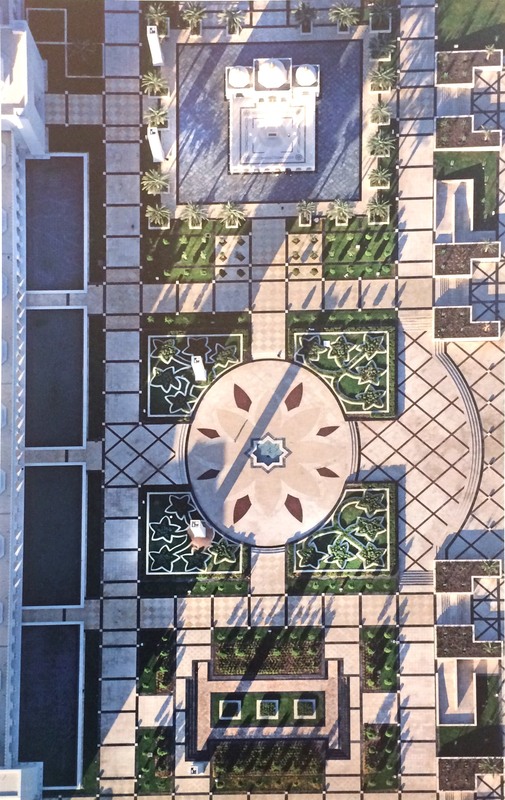 The size of the carpet is 5,700 square meters and it was manufactured in approximately 20 months.